User involvement can help designers reach beyond functionality and usability, and identify the user’s deeper needs for a pleasurable product experience. 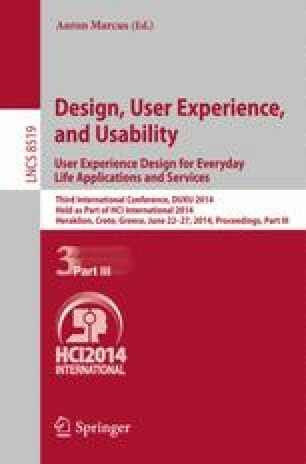 In practice, direct user involvement can be limited by a lack of knowledge of appropriate techniques, confidentiality constraints or limited access to end-users. Alternatively, personas can be used as a substitute for direct user involvement. Personas, however, often end up as posters in the hallway of a design department without being used, for instance because personas are not sufficiently realistic, or because the personas are insufficiently communicated within the design department. This paper presents a case study featuring Virtual Personas. This application allows designers to create and review use scenarios in a virtual world, featuring digital avatars. Although the application has been successfully deployed, it was found that additional effort is required for designers to really reach beyond the level of functionality and usability.